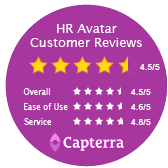 HR Avatar helps employers hire the best possible employees. We administer online pre-employment screening and selection tests to job candidates and provide detailed reports to recruiters and hiring managers. While we know that great hire can make a huge positive impact, we also understand that bad hires can be costly and devastating to team morale. As a result, our tests are designed to help recruiters and hiring managers identify both candidates with high and low performance potential. Access is often limited to large companies, who can afford to spend extensive time and effort analyzing their jobs, selecting and customizing the appropriate testing instruments, and integrating them into their hiring processes. But small and medium employers need great employees too. Many test names are confusing to employers. Many test names are acronyms, like OPQ32, HPI, 16PF, and DISC, while others are named after their creator's, such as Wonderlic and Hogan. But employers want tests named after the job they are hiring for. Most tests are unidimensional in nature. They measure only one type of characteristics, such as cognitive ability, or personality. But employers want tests to measure all of the relevant characteristics for the job they are hiring for. Tests are often boring to test-takers. Many tests were initially offered in paper and pencil format, before the introduction of the Internet. But today's candidates expect a test to take advantage of rich media, such as video and animation. Boring, text-only pre-hire tests make a poor impression on job candidates. Candidates apply using mobile platforms. Most tests do not work properly on mobile devices. But the majority of job candidates use mobile devices to peruse companies and apply for jobs. If a test is not available on a mobile device, it's likely to make a poor impression on a candidate. All of these challenges can be addressed through the application of modern digital technology, state of the art testing science, and newly available information resources such as the US Governments Occupational Information Network (O*Net). At HR Avatar we have made it our mission to do so. Make high-quality pre-hire testing available to companies of all sizes. Make it easy for an employer to find the right test for the right job. Ensure each test measures all key characteristics needed for that job. Use simulation and animation technology to make the tests interesting to test-takers. Make our tests fully accessible via mobile devices, such as iPhone, iPad, Windows Surface, and Android phones. Simply put, we aim to make testing as useful and easy to obtain for a 10 person accounting office as it is for a 100,000 employee airline. We also don't want to waste any recruiter or hiring manager's time wading through meaningless acronyms or test names. Finally, we want the tests to make a positive impression on candidates. Comprehensive - They measure all relevant, measurable characteristics for a given job. Job-Specific - Each test is targeted to a specific job. Animated - A portion of each test uses computer animation to simulate real-work scenarios and situations. Mobile Ready - The tests work equally well on computer workstations and modern mobile device. We adhere to a simple, yet important, set of values that enters into virtually all aspects of how we run our business. We exist to deliver value to our customers -- by helping them make the best possible hiring decisions. The trust we receive from our customers is our most precious asset. They trust us to offer the best possible products for their needs, and to act with absolute integrity when dealing with them. Our ability to serve customers depends on the dedication of our employees, and in return the company must be dedicated to employee growth and well-being. Our culture promotes continual improvement and innovation in all dimensions of our business. We are a privately held Virginia Corporation based outside Washington, D.C. in Oakton, VA. Founded in 2009, we spent years developing and perfecting our simulation-based testing software, which is currently used by some of the largest companies in the pre-employment testing industry.